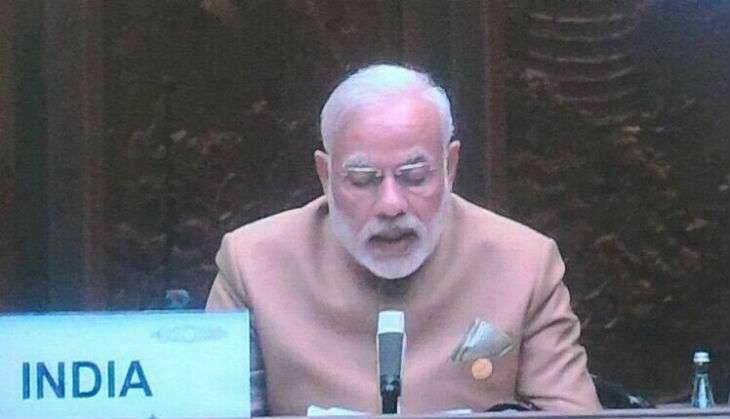 Prime Minister Narendra Modi on 5 September made it clear that effective financial governance requires "full commitment" to act against the corrupt and elimination of "safe havens" for economic offenders, as he called on G20 members to break down the web of excessive banking secrecy. In his intervention on the second day of the G20 Summit in China, PM Modi said fighting corruption, black money and tax-evasion were central to effective financial governance. To achieve that, he said, "We need to act to eliminate safe havens for economic offenders, track down and unconditionally extradite money launderers and break down the web of complex international regulations and excessive banking secrecy that hide the corrupt and their deeds." The Prime Minister said a stable global economic and financial system is imperative for growth as it promotes inclusive and sustainable growth. "IMF should remain a quota-based institution and not depend on borrowed resources," PM Modi said emphasising that the "long-delayed 15th General Review of Quotas must be completed by 2017 Annual Meetings." The Prime Minister also said that India needs energy to support its development. The G20 member states represent 85% of the world's GDP.